What is the LGBTQ+ scene like at Leeds University? If you’re coming to Leeds as an LGBTQ+ student you’ll be lucky to find that there’s so much on offer, both on and off campus, whether you’re still discovering your gender or sexuality, or you’ve been out for years. This article will give you some helpful pointers for which groups and places to look into, to find the best for you. There’s an LGBTQ+ Society at the University of Leeds, a welfare group that serves as an excellent first point of call and introduction to LGBTQ+ life in Leeds. They do daily free coffee hours which are a great place to meet new LGBTQ+ people and talk about shared experiences or just chat about anything in general. Once you start to make LGBTQ+ friends in Leeds it becomes a really nice and convenient place to socialise together on campus! The society also does club nights throughout the year, held in the Union, their longstanding night “Curious” was recently rebranded with great success to “Ultraviolet”. The Society also does welfare events for things like HIV awareness and sexual health, and has welfare officers covering men, women, bisexual/ pansexual, trans* and equality and diversity. The city has a vibrant scene for LGBTQ+ bars and venues, centred around Briggate in the city centre and conveniently signposted by the painted in pride colours! The most popular amongst students is Tunnel, open two nights a week, Monday and Saturday, using a room in the usually non-LGBTQ+ club Mission. Entry is cheap and there are usually drag queens and there are often themed nights for a particular musical icon. If drag is really your thing than Viaduct Showbar is the place to be, they have regular shows with performers from Leeds and around the UK, and even former contestants from Rupaul’s Drag Race have come to perform there. Other popular LGBTQ+ venues in Briggate are Queens Court, known for its courtyard parties several times a year, Mook, with its great cocktail offers, and The New Penny. If you’re unsure which venue is the one for you the University’s LGBTQ+ society does several “scene tours” throughout the year where committee members will take you to each bar in groups, finishing at Tunnel, if you’re new to the scene or society it’s a great and convenient chance to check out all the venues and make new friends. It’s also worth keeping an eye out for smaller, less frequent nights at venues outside of Briggate, like Love Muscle at Wharf Chambers, and one-off events at smaller venues that might not usually be LGBTQ+ orientated. There are even non-LGBTQ+ venues like Beaverworks that still have gender-neutral toilets. There are a variety of other LGBTQ+ groups and services, such as MESMAC, a sexual health charity aimed at LGBTQ+ men, and the Leeds Hunters RUFC, a rugby club team for LGBTQ+ men, and for football there’s the Yorkshire Terriers FC. 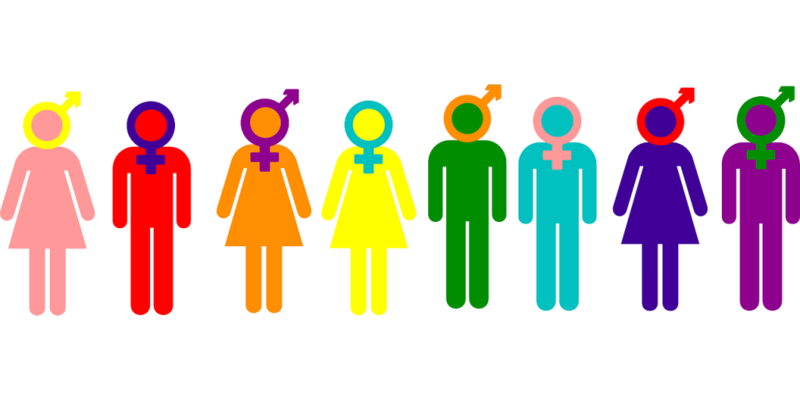 There are support groups and networks that meet regularly for different groups within the LGBTQ+ community, such as Asexual and Non-binary support networks. These can be an excellent chance to access support services as well as meeting a more varied selection of LGBTQ+ people than just students. There are also workshops on and off campus that seek to help Trans* people with things like clothes, make up and voice coaching. There are also non-LGBTQ+ specific groups and youth groups in the city like Angel of Youths that look out for LGBTQ+ interests as part of their work, it has a sub-group called My Q Culture, which seeks to empower the LGBTQ+ youths in Leeds and celebrate the diversity of their culture, with particular focus on ethnic minorities in the LGBTQ+ community. Overall Leeds is considered to be one of the best cities in the UK to be LGBTQ+ is, with an open and friendly feeling. 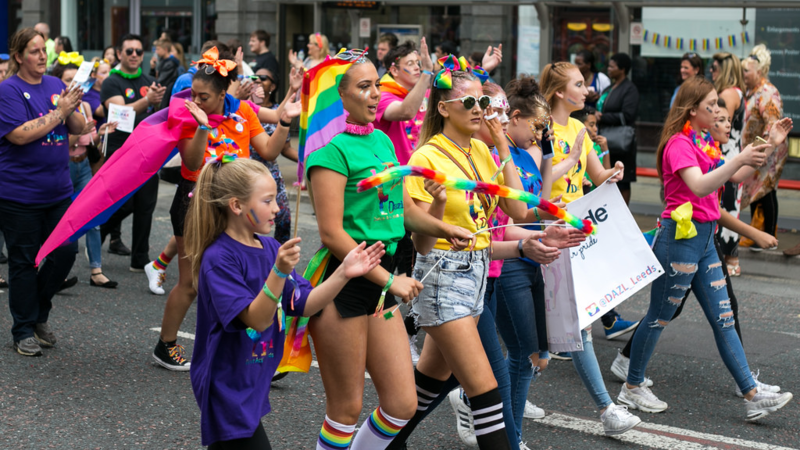 There’s a pride parade every summer, although Leeds Pride is generally considered to be smaller than Pride events in cities like London, Manchester or Brighton. However, people often appreciate the smallness of Leeds pride in comparison with others, as it gives the event has a more personal, community-orientated and less commercial feel, and it’s free and not ticketed. The University LGBTQ+ did walk in the 2017 parade. The best advice that I would give to someone coming newly as an LGBTQ+ student in Leeds, whether as a first-year undergraduate, post-graduate, or international student, is to throw yourself into the LGBTQ+ scene and social life on and off campus as much as possible. Even people who feel that their identities are fully formed can still find they have so much to learn and discover about yourself. University is a time to try new things and push yourself out of your comfort zone as much as you can, and if you force yourself to get as involved in the LGBTQ+ scene as much as possible you won’t regret it. Written by - Philip K.
There are so many university courses: how should I choose what to study?